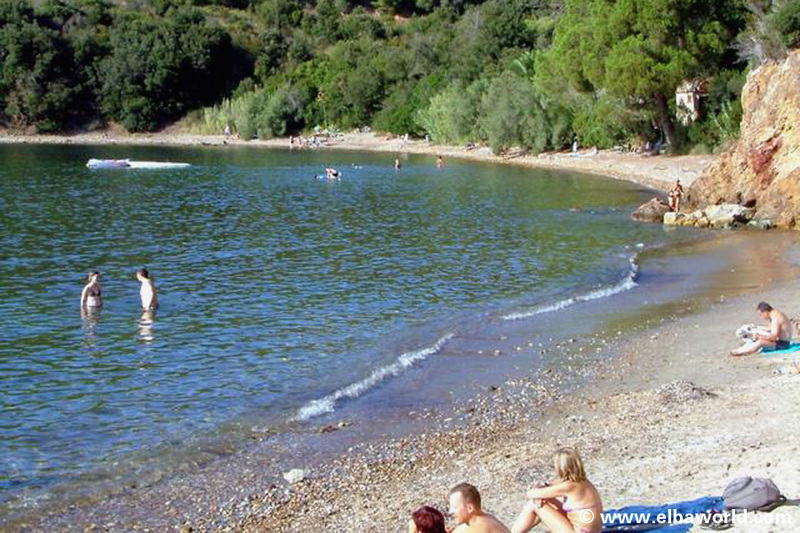 A beach of medium size and open to the Gulf of Portoferraio, of which he is protected at the same time. Features: Length: 300 m - ground sand-gravel mixture. 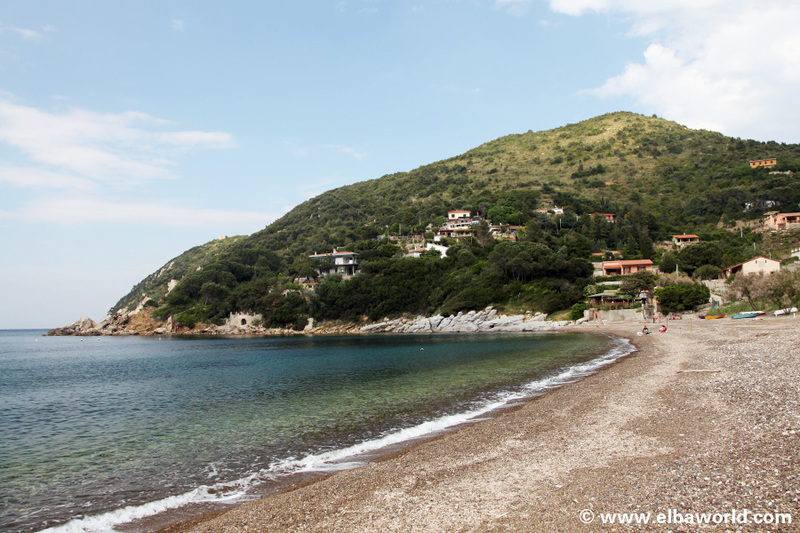 A long, narrow strip of beach with open direction to Portoferraio. It is protected through the Gulf. Suitable for families with children. Features: Length 650 m - ground sand-gravel mixture. A spacious and deserted beach in the middle of the Gulf Stella, with winds from the south. Features: Length: 300 m - ground sand-gravel mixture. 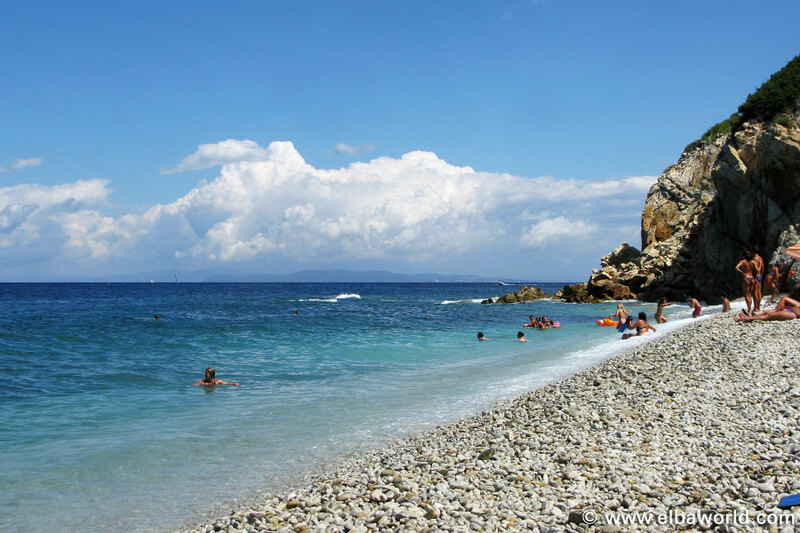 A beautiful beach in some places more than 20 meters wide, is made of colored stones mixed with pebbles and sand. 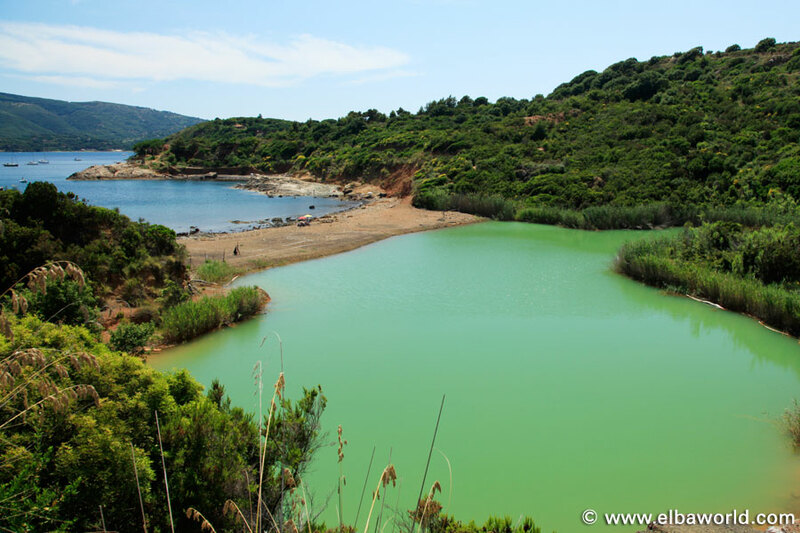 The beach is located in the middle of a bay which is shaped like a horseshoe, with a border of rocks. Thanks to these rocks, it is mainly exposed only to the north-west wind. Features: Length 220 m - ground black sand mixed with pebbles. A small beach is located on the left side of Ghiaie. Again, the transparency of the water and the white Eurit stones is beautiful. Features: Length 150 m - ground white stones. The beach Sansone is a beautiful white pebble beach. It is very quiet because it is not easy to find. It is therefore worthwhile to search for him, because the water clarity and peace are unique. Features: Length: 300 m - ground stones. To get to the beach Terra Nera, turn right at the main road towards Reale (Terranera). 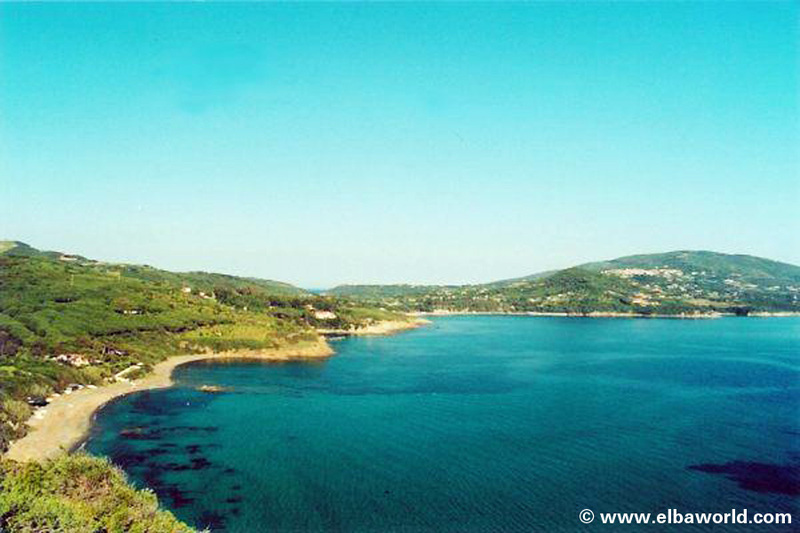 Once you reach the beach you will see a real way along the coast increases. At the beach Terra Nera has an old abandoned iron mine. If you walk along the beach to the end you will find a small lake. The beach is full of glittering black powder of hematite and pyrite. Features: Length: 200 m - ground black sand mixed with gravel.